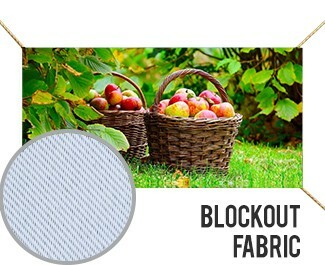 The Blockout fabric by Fisher Textiles is also known as white/black/white. 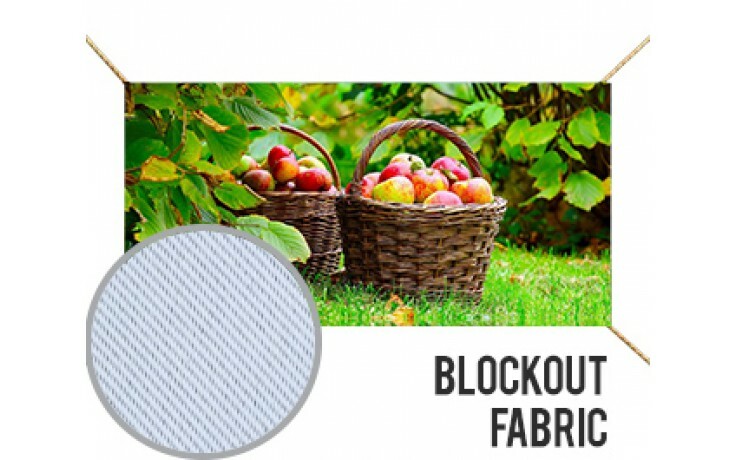 It is tightly woven to minimize space between yarns thus producing exceptional print quality and opacity, to a greater extent than most fabrics. It has a layer of black fabric in the middle, it could block the light through. 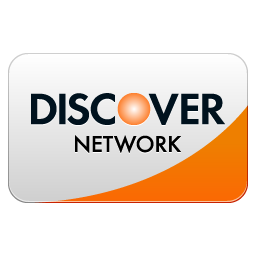 Fire Rated Material.